SAWJ will not be having a meeting in Feb.
Due to the proximity of the NJSPLS survey conference in Atlantic City, SAWJ will not be meeting in Feb.
We will have our next meeting at the 2nd Thursday of the month, March 14, 2019. Hope to see you then. This entry was posted in Uncategorized on January 23, 2019 by Bill Haggerty. NSPS recently acknowledged the Surveyors Association of West Jersey for their donation of $250 to their foundation disaster relief fund. This entry was posted in Uncategorized on November 19, 2018 by Bill Haggerty. 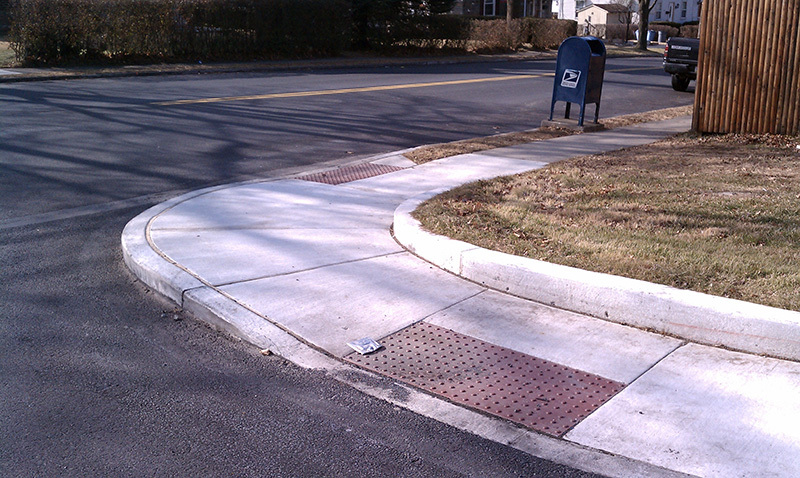 Design of ADA Curb Ramps! We’ve all seen the newly constructed handicap ramps being constructed over the last few years mandated by the Americans with Disabilities Act (Law). Join us on Thursday September 13th for this informative discussion on what drives the design of these ramps and how many of the ramps being built today don’t meet existing requirements. Find out what existing key features are needed to be located to design new ramps and how these ramps impact right of way. SAWJ welcomes back Athanasios Georgiadis (Thanasi) from WSP USA Inc. (formerly Parsons Brinckerhoff) and Perry Stavridis to update us on this interesting topic. This was presented in Feb. of 2015 and was one of the top presentations of that year. Your sure to come away from this presentation with a new perspective. Looking forward to seeing you. This entry was posted in Uncategorized on September 5, 2018 by Bill Haggerty. The Surveyors Association of West Jersey will have its monthly dinner meeting this Thursday July12th, 2018, 7PM At Carlucci’s Waterfront located in Mt . Laurel NJ, Cost $35. 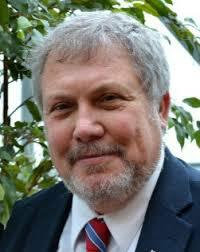 Our speaker for this meeting will be Retired National Geodetic Survey expert Bill Henning. Practical RTK procedures and checks for today’s practitioners. NGS Coordinate Conversion and Transformation Tool (NCAT). Bill will also be talking on comparing & contrasting static (OPUS, user processed) vs. real-time (RTN,RTK) vs. ppp methods for GNSS control. This entry was posted in Uncategorized on July 5, 2018 by Bill Haggerty. During the next several years enhancements and additions to the network of Global Navigation Satellite Systems (GNSS) including: the U.S. NAVSTAR Global Positioning System, Russian GLONASS, European Union GALILEO and China’s BeiDou will significantly improve the use of space-based positioning systems for surveying, mapping, charting, navigation and innumerable other applications. In order to meet the anticipated demands for an improved geospatial framework that these developments will require, the National Geodetic Survey (NGS) is implementing a plan for the modernization of the National Spatial Reference System (NSRS). Among the various topics outlined in this plan is the adoption of an entirely new geodetic reference frame with updated geometric (horizontal) and gravimetric (vertical) realizations that will replace the North American Datum of 1983 (NAD 83), the North American Vertical Datum of 1988 (NAVD 88) and the several island vertical datums. The new framework will be designed such that the geometric component (latitude, longitude, ellipsoid height) will be virtually identical to and aligned with the International Terrestrial Reference Frame (ITRF), while orthometric heights will be based exclusively on a nation-wide high accuracy (1-2 cm) gravimetric geoid model. This presentation highlights the rational for these changes; the various elements that currently define the NSRS and the activities NGS is engaged in to improve the capacity of and access to the NSRS. Dave Doyle joined the National Geodetic Survey in 1972 and held the position of Chief Geodetic Surveyor at his retirement in January, 2013. He was responsible for the development, technical design and management of plans and programs that enhance the United States National Spatial Reference System. He has provided technical assistance in geodesy to international, federal, state and local surveying, mapping and GIS agencies. During his time at NGS his experiences included all phases of geodetic triangulation, astronomic positioning, leveling, GPS data collection, data analysis, datum transformations, network adjustments, and data publication. 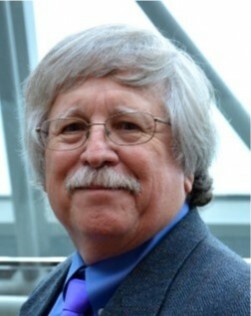 Mr. Doyle’s activities also include many articles in national and local surveying publications and he has conducted hundreds of workshops and seminars detailing the numerous aspects of geodesy and the National Spatial Reference System. Editor of xyHt. This entry was posted in Uncategorized on March 23, 2018 by Bill Haggerty. This entry was posted in Uncategorized on March 2, 2018 by Bill Haggerty. The Surveyors Association of West Jersey will have its monthly meeting this Thursday March 8th, 2018 At Carlucci’s Waterfront located in Mt . Laurel NJ. Our speaker for this meeting will be Craig Stratton of Trenton Engineering who will present “Filing an eLOMA to remove a structure from the Special Flood Hazard Area using the FEMA website”. The Surveyors Association of West Jersey will have its monthly meeting this Thursday February 8, 2018 At Carlucci’s Waterfront located in Mt . Laurel NJ. Our speaker for this meeting will be Paul Tully and aided by Steffanie A. Lerch with Eagle Wealth Strategies (Certified Financial Planner and Retirement Income Certified Professionals). 1. Planning for lifetime income needs in a low interest rate world. 2. Longevity may result in a 30 year retirement-do you have the resources to fund that? 3. When to begin Social Security. 4. US stock market at an all-time high-what’s next? 5. Long term care-at home or in a nursing facility, costs and options to pay. 8. Beware the annuity salesperson! Too good to be true. 9. Everyone needs a financial plan for retirement. No plan is still a plan, just a bad one. Consequences of not matching your goals and your resources. This entry was posted in Uncategorized on January 29, 2018 by Bill Haggerty. The Surveyors Association of West Jersey will have its monthly meeting this Thursday January 11, 2018 At Carlucci’s Waterfront located in Mt . Laurel NJ. Our speaker for this meeting will be Lou Marchuk, PLS, PE. Lou was formerly NJDOT Geodetic Surveyor and will be discussing Vertical Control Issues, Locating, Determining the best control for the project. This entry was posted in Uncategorized on January 8, 2018 by Bill Haggerty. SAWJ Meeting Thursday Nov. 9th _ Adam Grant _ Drones! The Surveyors Association of West Jersey will have its monthly meeting this Thursday November 9, 2017 At Carlucci’s Waterfront located in Mt . Laurel NJ. Our speaker for this meeting will be Adam Grant. Presentation will be on drone functions and capabilities. He will discuss FAA Regulations and the process to work within those regulations. Pix4D, which is a photogrammetry software program. He will present some project examples using drones for surveying. This entry was posted in Uncategorized on October 26, 2017 by Bill Haggerty.